But back to the day itself. In the UK and Europe, the fourth Sunday in Lent has been celebrated as ‘Mothering Sunday’ since the 16th century – the Church having hijacked pre-Christian vernal-equinox celebrations. This had nothing to do with your mum, though: it was about visiting your ‘Mother Church’, ie the cathedral or largest ecclesiastical building in your area. The US holiday of Mother’s Day, on the other hand, is only 105 years old. Originally, this was an entirely separate celebration. 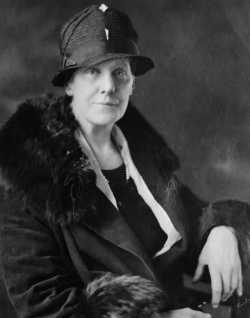 Things began in 1905, when Anna Jarvis started a campaign to make ‘Mother’s Day’ a national US holiday, after her mother died on 9 May that year. Ms Jarvis was a woman of letters, having reportedly worked in advertising at a financial institution, and relentlessly wrote to influential figures in the spheres of commerce, religion and politics, seeking their support. With much success. Five years later, the governor of Jarvis’s home state of West Virginia officially declared the second Sunday in May as Mother’s Day. Ms Jarvis followed this victory at a state level by intensifying her correspondence bombardment and, eventually, on 9 May 1914, President Woodrow Wilson confirmed the first national Mother’s Day. But achieving victory and maintaining control were not the same thing. Ms Jarvis had trademarked the phrase ‘Mother’s Day’. And with an editor’s eye for detail, she was also clear about the punctuation involved. Mother’s Day was a singular possessive for a reason: it was about one’s own mother, not everybody else’s. So if you were going to celebrate Mother’s Day, you were going to punctuate it that way. Much like the apostrophe control-freakery, Jarvis also disapproved of other people’s methods of expressing gratitude. Greetings cards were ‘a poor excuse for the letter you are too lazy to write’, for example. Eventually, Jarvis tried to destroy her own creation. By the 1920s, the monetisation of the holiday had begun in earnest. Companies sold Mother’s Day cards; florists and confectioners also got in on the act. Ms Jarvis began a doomed, Canute-like campaign against the commercial tide, threatening lawsuits and even disrupting public meetings. But it was too late: by that stage the idea was already culturally entrenched. And by the 1950s, the US holiday retroactively absorbed the celebration of Mothering Sunday in the UK and elsewhere – although other countries didn’t adopt the US date. Ms Jarvis’s struggles bring up the broader argument of descriptivism versus prescriptivism. Should you try to control language or accept its evolution? Is the principle the same with ideas? And where do you draw the line? Which brings us back to the original question. Despite Mother’s Day being the ‘official’ usage, according to the explicit wishes of its creator, even when language is legally protected it has a way of developing on its own. Nowadays, while Mother’s Day is still the most widely used variant, the plural possessive of Mothers’ Day is also common. As is Mothers Day – which I’m choosing to ignore. Ms Jarvis’s argument that the holiday should be about ‘sentiment, not profit’ undoubtedly displays the best of intentions. But there are limits. You could dust off a similar seasonal argument normally reserved for boring Christmas cynics: is buying people presents intrinsically a bad thing? Who cares if people celebrate things differently? And are greetings cards really worth inherently less than a letter? Ms Jarvis’s tale is a cautionary one about the dangers of prescriptivism. If you try to control language, you could go a little mad.